Now offering 1 year warranty on heating elements for select standard furnaces. Please contact MHI. 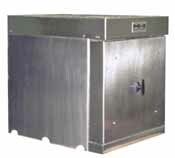 Box furnaces require inside and outside stainless steel of the correct thickness to prevent distortion. MHI offers this feature. 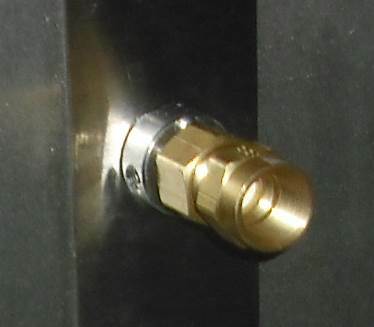 For Gas or vacuum and other sensors please click here. These options are routinely shown on the quotations. The chimney exhaust port is a standard MHI furnace option. 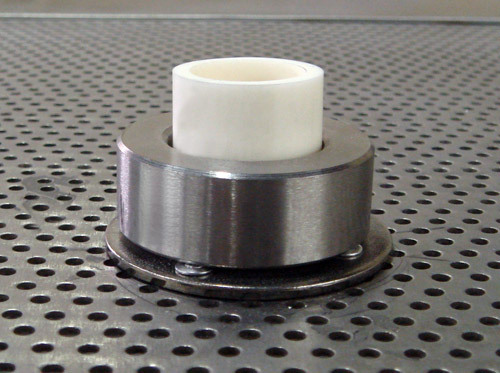 The ceramic tube is made out of NanoFractalAlumina™ with high thermal shock resistance. Optional chimney exhaust port and other gas/steam featur or vacuum feature shown with standard perforated furnace top. 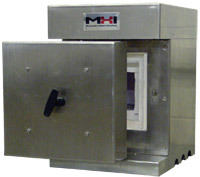 MHI M-Series Box Furnaces feature our largest internal dimensions for box and muffle furnaces. This, combined with high operating temperatures, makes the M-Series a great choice for many users. Safety 3-arm horizontal swivel door keeps the hot face away from the user. Non-Sag NanoFracralAlunina™ Roof Holders allow for large spans. Plug & Play operation. High Insulation. High Energy Efficiency. Stainless steel construction. Thickest gauge used in the industry. Forced air fan cooling. Double wall construction. 3 layers of refractory. FiberFree™. High Safety. Box design keeps exterior surface temperature 50°C or less. What kind of uniformity do MHI furnaces offer? , What kind of energy efficiency do MHI furnaces offer?, M-Series Box Furnaces feature Molybdenum DiSilicide heating elements. 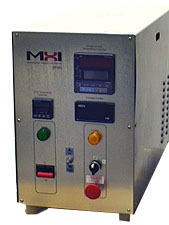 MHI's high performing furnaces are built to endure the use and abuse of many different applications. 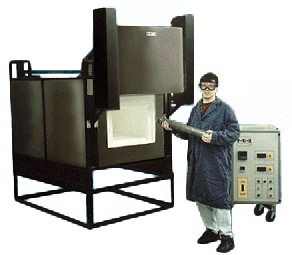 Our furnaces have seen use in small scale laboratory environments all the way to industrial production facilities. Contact Us to see which furnace is best for your application. 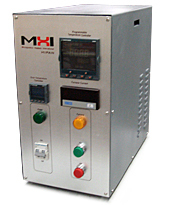 MHI offers electronic controllers with features such as overtemperature controls and programmable steps. 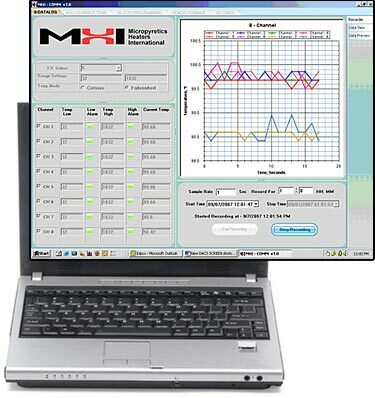 In addition to standard electronic controls, MHI DACS allows for remote furnace locations, data logging and intricate step programming. MHI now offers a variety of accessories to be used with our furnaces. Common accessories are clips, braided wire, hangers and other useful tools. To view these accessories, visit MHI Element Accessories or our MHI store.